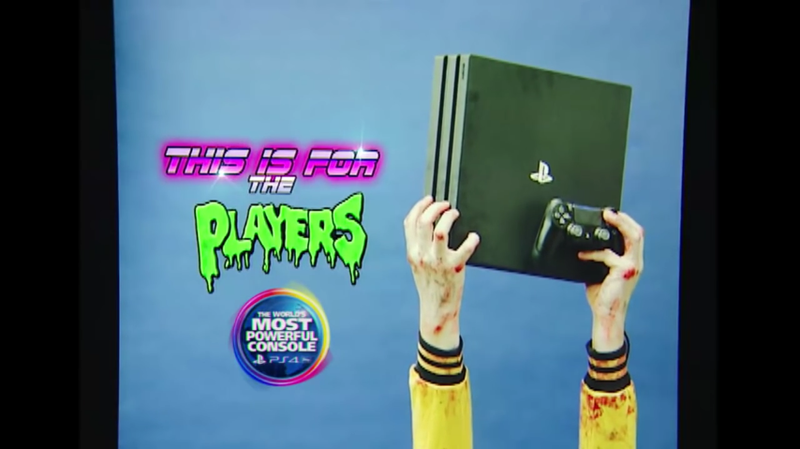 In a new ‘80s-inspired commercial, the Japanese platform holder flaunts the PlayStation 4 Pro as “the world’s most powerful console”. The commercial, which is clearly a throwback to Sony’s old-school PlayStation advertising, is more focused on staying true to its source of inspiration rather than showing what the upcoming mid-generational upgrade to its eighth-gen video game machine is capable of. The ad does point out that PlayStation 4 Pro is more powerful, but there is no mention of 4K, which is certainly the cause of this console’s very existence. The commercial features Call of Duty: Infinite Warfare’s Zombies in Spaceland, a survival co-op mode that is set in a 1980s space-themed which is overrun with the living dead. The mode will be available to all those who have pre-order any edition of Infinite Warfare. PlayStation 4 Pro launches worldwide on November 10 for $399 USD/€399/£349. Call of Duty: Infinite Warfare will be available on November 4, complete with support for the upcoming, more powerful PlayStation console. Call of Duty: Modern Warfare Remastered, which comes bundled with the premium versions of Inifinite Warfare, is also set to feature support for PlayStation 4 Pro. Sony’s Sid Shuman recently published a post on PlayStation Blog with a new video, revealing that the the remaster will enjoy “richer textures and dynamic 4K graphics on top of the series’ signature fluid framerate” on Sony’s upcoming console. You can read more about it here.